The 06 and newer TRX450R have a notorious problem with breaking gears in the transmission. Several fixes out there include cutting the gears to keep them locked in gear better and new billet gears. Both of these fixes have been succesfull. The problem stems from a shifter spring that is to light. During suspension testing we ran into this problem a lot as the spring is too light for the weight of the shifter. When you hit a kicker or or land a big jump - the weight of the shifter makes it try to jump down a gear - at that same time your rerar tires usually also have a lot of weight on them giving them a lot of traction. This is where the damage starts - it may break the gear and bend the shift fork immediatly or it may simply bend the form and the final damage may happen later. 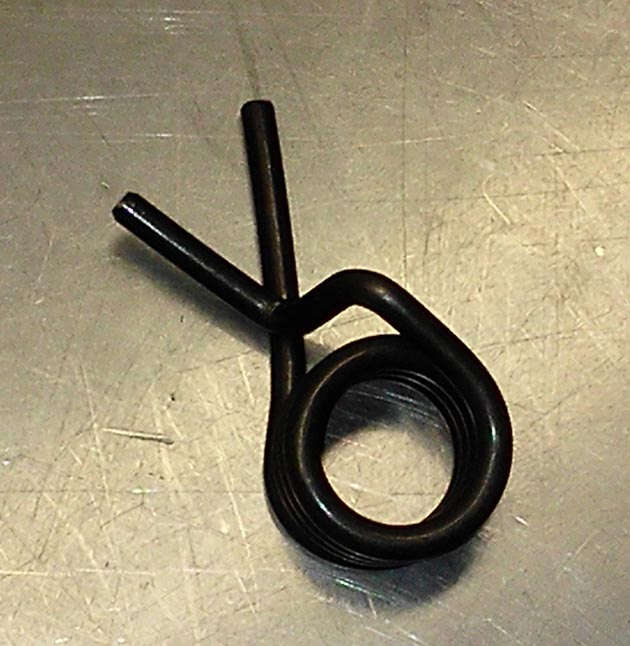 The shifter spring we have designed is stronger then stock to prevent this from happening.